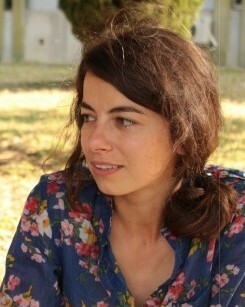 Marta Varanda is assistant professor at ISEG/ULIsboa and a researcher at SOCIUS/CS. She conduces research in organizational sociology, public policies and water governance through public participation. She has used participatory methods in the context of adaptation of water resources to climate change. 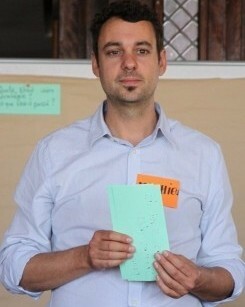 Mathieu Dionnet is a consultant and trainer at Lisode working in the field of public participation for natural resources management in France, Africa and Latin America. Lisode is a cooperative consultancy specialized in designing and implementing participatory approaches. 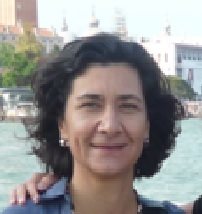 Sofia Bento is associate professor at ISEG/ULIsboa and a researcher at SOCIUS/CSG. She is a sociologist and her research in science and technology studies relates to topics such as environment, water resources, climate change and citizen involvement and participatory processes. She has been using participatory methods as action research in in different contexts (water and agriculture, academia, empowerment of women). 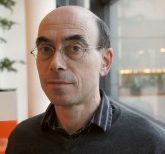 Pieter Bots (joined the team for Montpellier 2018 edition) works as associate professor of policy analysis at the faculty of Technology, Policy and Management of Delft University of Technology. 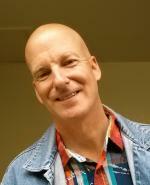 His researches focus on policy analysis and modeling of multi-actor systems. Barron Orr (joined the team for Lisbon 2017 edition) is the lead scientist of the UNCCD. He is also the founder of Science for Society Solutions (S4S). He is professor emeritus at the University of Arizona (USA) and professor avalista at the University of Alicante in Spain. Ola Dolinska (joined the team for Montpellier 2016 and 2018 editions), a sociologist of development, is a consultant at Lisode working in the field of participation in innovation development and knowledge co-construction and social learning. 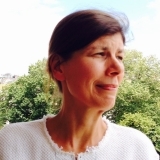 Jennifer Hauck (trainer in Lisbon 2015 and Montpellier 2016 editions) is an experienced trainer for participatory methods and the organization of transdisciplinary research processes. She works as scientist at the Helmholtz Centre for Environmental Research – UFZ in Germany, the partner of 2015 and 2016 editions of the Summer School.